Jakarta Library and Archive Department (Dispusip) launches 'Book Party' theme in April 2019. This theme is chosen because World Book Day is celebrated on April 23.
" We want people, especially children at school age, to learn reading in a fun way through this program"
Regarding this month's theme, Jakarta Dispusip's Deposits, Collection Development, Services and Conservation Division Head, Bambang Chaidir said, his side wants to carry out #BacaJakarta Movement every day in different reading corners on April 1-30, 2019. This program is targeting children between 7-12 years old. "We want people, especially children at school age, to learn reading in a fun way through this program," he conveyed, Thursday (4/4). His side will also empowers reading communities by holding workshop that relates with books and environmental care. 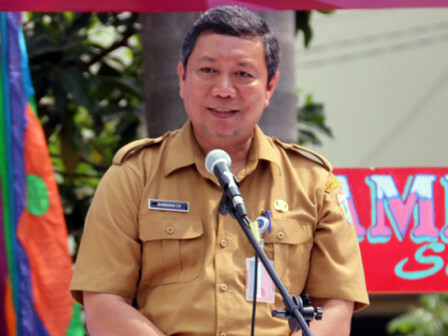 "Later on , we plan to collaborate with Kertabumi Community to hold workshop about plastic waste handling and Reuse, Reduce, and Recycle program," he explained.